expertise and production capability can support projects of any size. 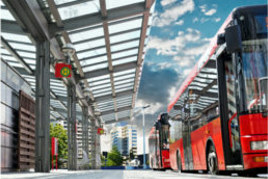 Whether it’s standard bus ticketing rolls, toll road systems using magnetic stripe or RFID enabled windscreen tags, we will provide the perfect solution. 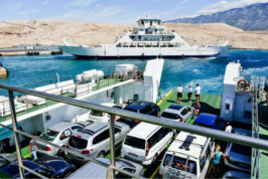 Tickets are often used for multiple applications on board, including cabin keys and reservation tickets. 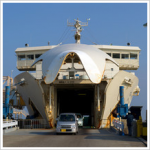 Our tickets are used internationally by the industries leading ferry & shipping operators. These specially developed products are designed to be cost effective while retaining the quality and performance expected by the operators and the passenger. 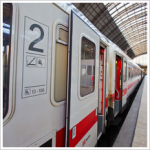 With rail transportation continuing to gain in popularity, it’s important to streamline passenger interaction. 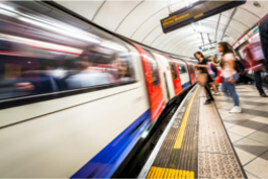 Whether using a traditional magnetic ticket, contactless smart technology, or standard thermal rolls ticketing, performance is paramount to the success of your daily operations. Airports are a gateway to the world. To support this complex system, we provide everything from parking tickets and boarding cards, to PVC-RFID and magnetic stripe ID-cards. All of our products are available with multiple technology applications and security features. Going by train or ferry, driving with rental cars – our traffic system is connecting a variety of different options. Forgery-safe tickets are very useful in public transport, which includes ferries or trains and toll stations. As vending machines are often provided, the requirements to the functionality of printing products are particularly high. Our RFID tickets are ISO standardized and can be manufactured according to specific range of use as single, fan-fold tickets or on rolls. They offer high capability of resistance for frequent use and can be supplied with special safety features: e.g. press-cut, perforations and embossing or numbering, holograms and encodings. The tickets can be printed with up to eight colors as well as safety colors. The material ranges from non-thermal and thermal cardboard to special foils and material where the chip is not visible. 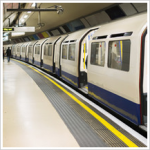 Common RFID chips for public transport are Mifare Ultralight® and Mifare Ultralight C®. partner had strict guidelines and requirements in regards to compliance and technical applications. In this project, special attention was given to addressing fraud protection due to a high percentage of historic fraudulent use. On securing the tender for production and confirmation of delivery for all major Turkish cities, we started the following process. At the beginning of the contract, our experts were on site in Turkey to visit system facilities and analyse local requirements. When necessary, nagels sends out experts to every area where advice is needed, to ensure fully functional products. In accordance with the OEM´s specifications, we discussed several materials and functional ticket variations to develop the ideal product suitable for all participating cities. 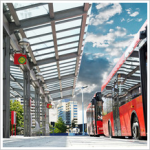 Turkey experiences a range of climatic conditions, so the RFID ticket needed to be functional in all temperatures for areas including Antalya and Sivas (north-east Turkey). Covert security features were also incorporated into the product offering a high level of protection. In order to provide overt fraud protection, various solutions including hologram technology were integrated. Our subsidiary nagels Eurasia took over advisory and completion in Turkish language. The ticket layout was created by our artwork department in close collaboration with each city office to ensure individual designs met specific requirements. As soon as layouts were developed, a hard proof was sent to the authorities to provide a visual example. Due to difficult administrational and storage conditions, just-in-time delivery was a necessity for our client, so we developed a supply chain that enabled us to deliver tickets within 24 hours to all city locations. To ensure that cities can order individually, we established an intermediate storage and distribution center in Istanbul in cooperation with nagels Eurasia. 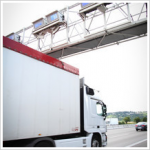 Our e-portal allows the client to manage stocks and deliveries, monitor stock volumes and place orders at the click of a button. Our production capacity allows us to provide flexibility with even high order volumes. Production commenced in 2012 and has been running successfully since, with well in excess of 150,000,000 cards supplied to date.